What is the Mobility Vision Integration Process? The Mobility Vision Integration Process is a research project being undertaken by Art Center’s Advanced Mobility Research and Graduate Industrial Design Programs. Mobility VIP investigates ways that expert designers can support and accelerate the dialogue about the future of sustainable mobility. The outcome of mVIP is to enable teams of creative people, charged with designing viable, future mobility solutions to deal with wide-ranging, unpredictable and disparate issues that we usually have no control over and to spot otherwise unforeseen opportunities. What are Mobility VIP cards? The mobility VIP cards are an experimental tool piloted in 2007 and now in public beta. The cards support rapid future scenario development on the topic of sustainable mobility so that groups and individuals can quickly enter a dialog and brainstorm about possible outcomes, solutions and strategies. The mVIP cards are an actual deck of cards to be used in workshop settings. 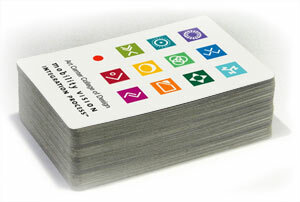 The deck contains 109 cards in 11 categories. The deck is also available for review on this site as a Flash application. A hand of 11 cards creates a scenario for the year 2040 that jump starts discussion and ideation about future challenges for personal mobility systems. 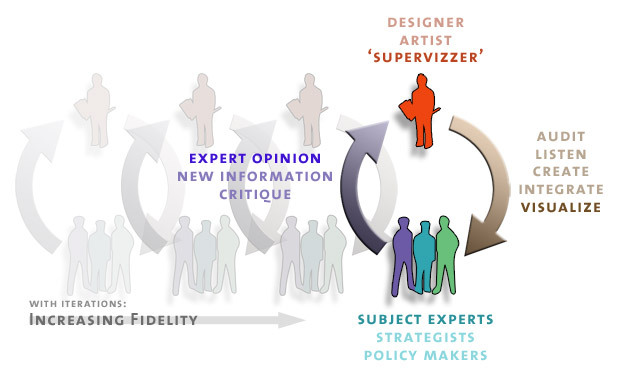 The vision integration process uses iterative cycles of rapid visualization with expert feedback for developing complex, future scenarios and innovation for that future. This kind of design and visualization practice is common in industrial design and entertainment industries where skilled artists and designers can rapidly accelerate innovation discussions. However, the practice is novel when applied to strategic planning, forecasting and large scale social systems. "Vision Integration" is the term coined at Art Center to describe this experimental practice. There are of course many instances in history where "artists concepts" have been used to inspire change to greater or lesser effect. Vision Integration intends to formalize the practice and make it a repeatable and deployable process for teams. The mVIP card deck is one application of this research.